Has your Phone gotten slower the longer you've used it? Worried about third-party apps secretly running in the background, occupying system resources, and draining your power? Phone Manager in EMUI 8.0 has been significantly updated to help keep your Phone running like new. 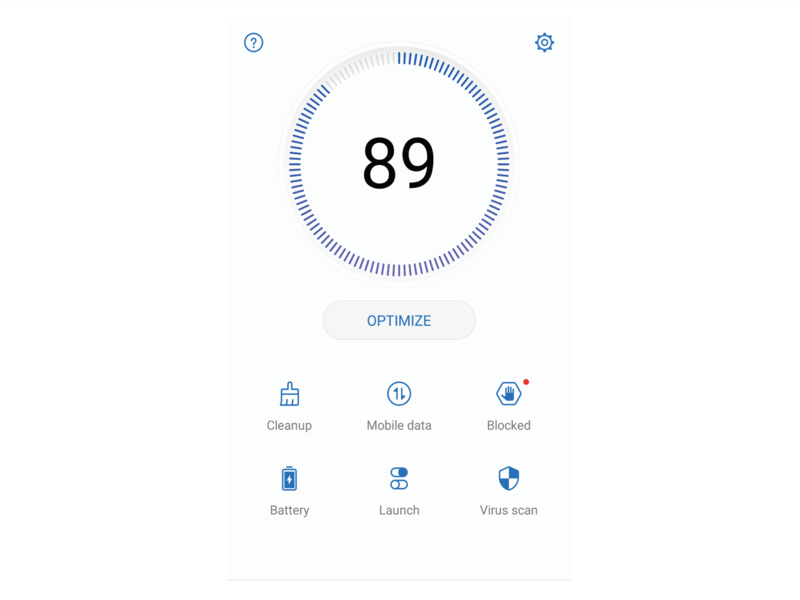 Phone Managerin EMUI 8.0 responds to the user's habits and only provides you with the six most common Phone management tools you use, letting you clean your Phone in one quick step. The Lock screen cleanup functions of the EMUI 5.0 and EMUI 5.1 versions of Phone Manager have been replaced in EMUI 8.0. You can now manage the background activity of apps in Launch. 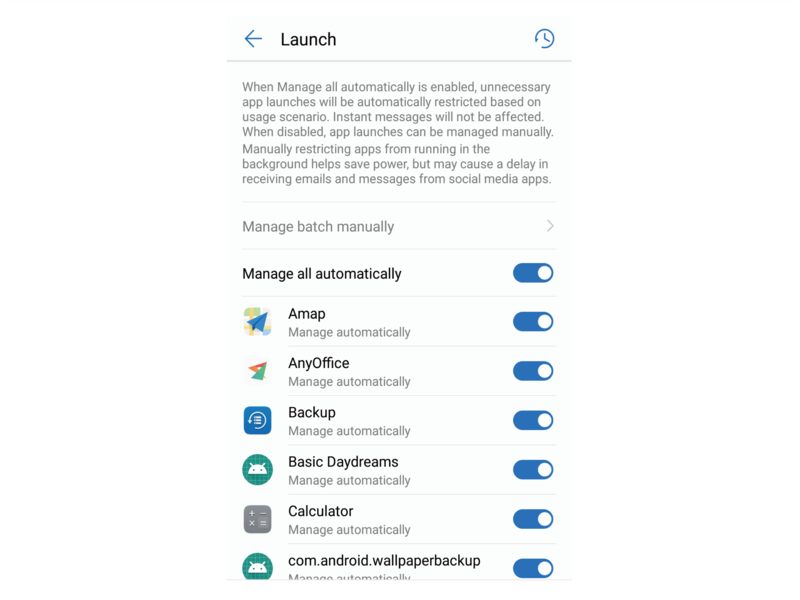 The App lock and Permissions functions in the EMUI 5.0 and EMUI 5.1 versions of Phone Manager are also usable after updating to EMUI 8.0. Go to Settings, and then search for the desired functions. 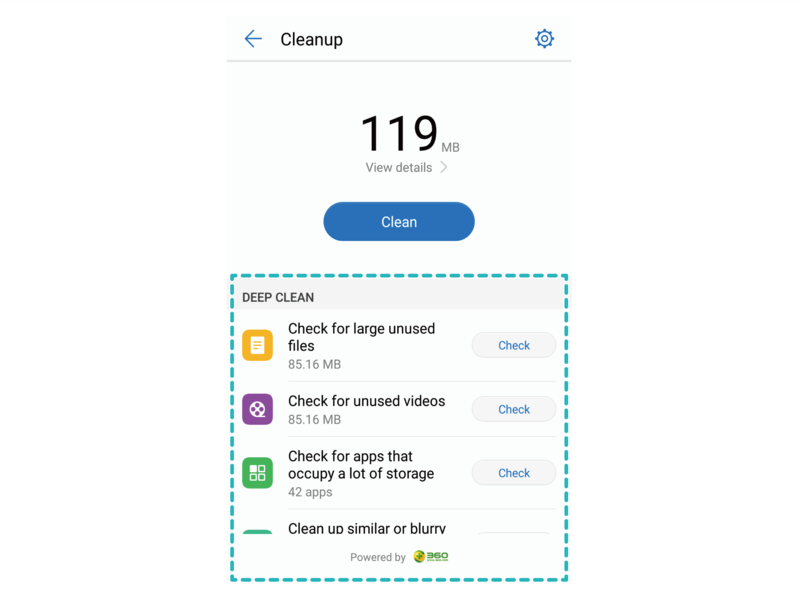 Deep clean helps your Phone save space without accidentally deleting important files by scanning for redundant files including WeChat files, large files, videos, images, residual app files, music files, unnecessary installation packages, unused files, and files that take up a lot of space, and gives you cleaning suggestions based on the scan results. Using Launch management helps you identify and restrict apps that activate themselves without being prompted. 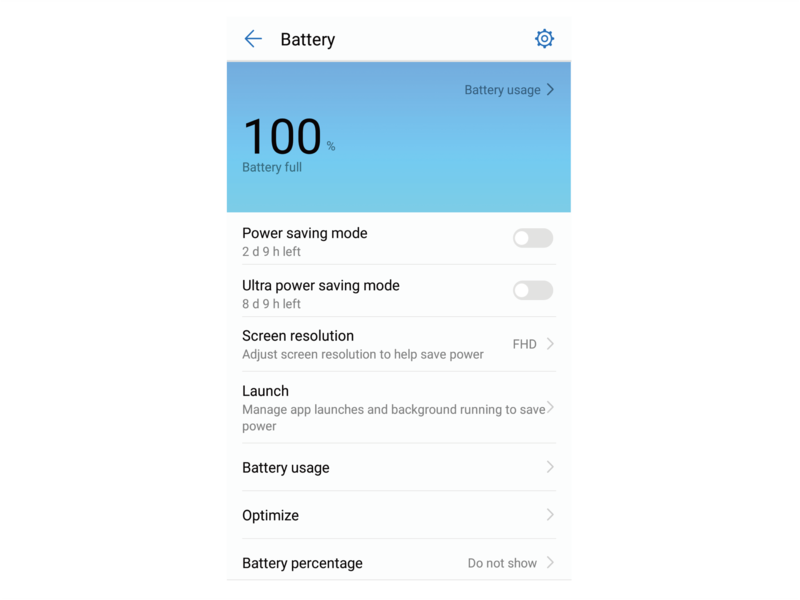 EMUI 8.0 offers a simple battery management screen, and intelligently identifies power-consuming apps as well as unused apps, and automatically applies power-saving measures. When a power-consuming app is detected, a power consumption message will be displayed in the notification bar, offering power control options to help you keep your Phone's battery full.